Size : 16.8 x 18.0 mm. Weight : 1.89 grams. Grade : VF with old collection toning. 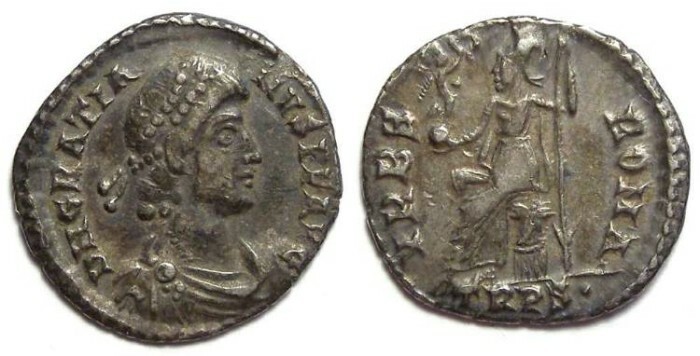 Obverse : Head of Gratian right, with DN GRATIANVS P F AVG around. Reverse : Roma seated left, holding a sceptre and a small figure of Victory set on a globe, with VRBS ROMA around, and the mint marks TRPS below.